This is a typical retrospective installation by meia, replacing an existing opening roof previously designed, built and fitted by others. This original hinged roof system was poorly installed and clumsily designed. Only part of the glazing was designed to slide open, and a sunken gutter to all four sides was inadequate and leaking. The roof itself had started jamming within a year of installation. When asked to inspect failing roof or window systems by others, we seek a meeting to discuss repair options. If this is not viable, design solutions for a replacement that may add new features and functions are discussed. We insist on bringing the system up to our standards where we offer repairs or upgrades. This gives the product a warranty and similar life span to our own original work. We will often advise the Client’s design/build team on other improvements they can make in the zone of this opening roof/window. Either way, we help to maintain very high standards of quality for the client, both with regard to our own work, and also anything adjoining it. For this particular client we dismantled the existing one-year old product and removed all the rotting timbers. We made the existing structural opening larger and installed a new, single-hinged, fully opening glazed roof. 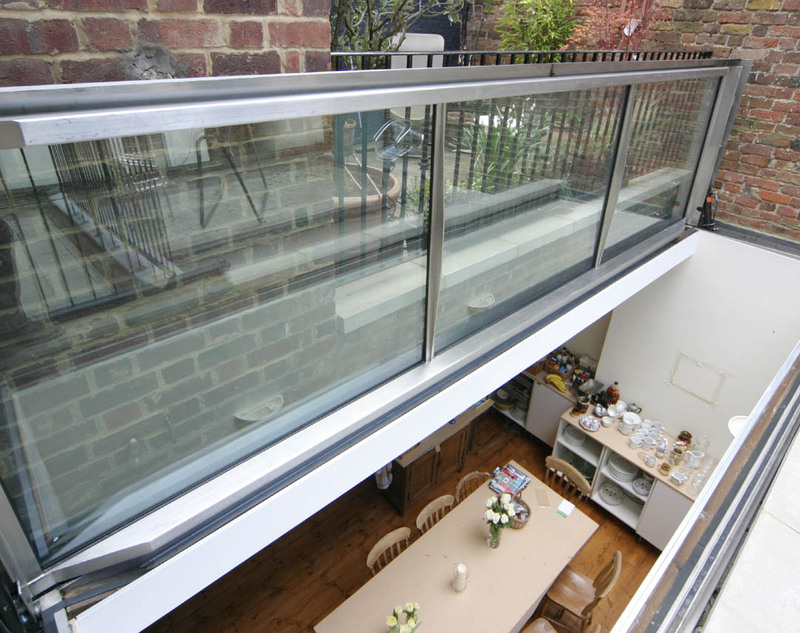 We also provided an integrated stainless steel gully gutter all round. The client opted for a triple pane unit so we could hand lift the frames and glass into place, saving on the crane lifting costs of a single pane option. The roof can be opened to any position, such as partially open for venting or fully open for full wind and light. Rain-sensing systems are in place to automatically close the roof in the event of bad weather. The opening or closing cycle takes approximately 40 seconds. An integrated hand pump backup device is available in addition to the automation system. This will allow manual opening and closing of the 550kg roof if there is a power or system failure.